Hi everyone! 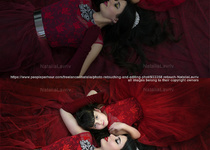 My name is Natalia and I have big experience in editing any kind of images such as event, personal, studio, product etc. images. I have excellent Adobe Photoshop...Read moreHi everyone! My name is Natalia and I have big experience in editing any kind of images such as event, personal, studio, product etc. images. 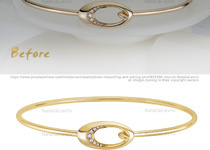 I have excellent Adobe Photoshop skills, and I can do a high -quality retouching, natural color correction with good white balance and different operations with images. Feel free to ask me about more information or more of my work. Such fantastic service. 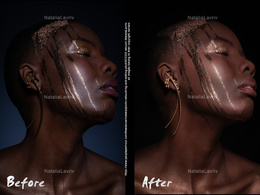 Natalia is not only a great retoucher, but she's also lovely to work with. Thank you so much! Looking forward to our next project. Natalia is such a lovely retoucher to communicate with. 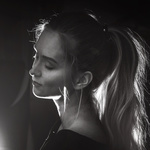 She delivered a beautifully retouched portrait for us, and we look forward to working with her again soon! :) Thanks, Natalia! Very happy with Natalias expertise, efforts and communication. Second time i have worked with and like yhe first, very happy. I will undoubtedly be sending a lot more work over to be done! Image clean up and sharpening. Natalia did a substantial piece for me retouching and editing all the images from my new collection. She did a fantastic and very expedient job. I'm glad I found her and will carry on using her help in the future.